Breaking News: Introducing FIFMI Miami Florida! 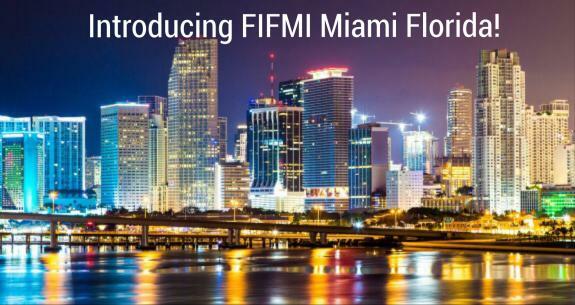 Home » Breaking News: Introducing FIFMI Miami Florida! The moment we've all been waiting for. A new FIFMI baby has been born. Many of us were praying and expectantly waiting to hear about this new baby. With all confidence in God's word we knew it was a matter of time before we received the news. All ears have been alert and excited about the baby being born and the location of this birth. Ladies and gentlemen the bouncing healthy baby is FIFMI Miami, Florida, USA. We celebrate the faithfulness of God. The first believer was saying I don't believe anything but myself only. And to me God does not exist. And as Baba continued to explain the gospel of the kingdom of God, he finally said I like this Jesus and he received Jesus as His Savior. The next day, on Sunday he asked to be baptized in water in the night and Baba himself baptised him at 9:30 pm. What a change on his face! You should have seen the joy and peace on his face. God is good! Thank you for your prayers. And continue to pray. God is a faithful God. There is nothing too hard for Him. People of God why not stand up and make some noise giving glory to God. Congratulations. Praise the Lord. Let's continue to pray for Baba and Amai and the team as they prepare for a bar-b-cue (braai) this Saturday as part of their soul winning drive. We know God already has people set apart for FIFMI and He has revealed this to some in visions and dreams and other ways. Let's pray that the people will recognize that the time they have been waiting for has arrived. Hallelujah!! "Through the Kingdom of God The Anointing Will Break The Stronghold"